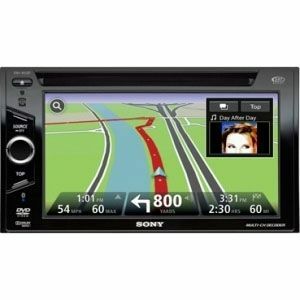 Sony A/V Receiver With Navigation and Bluetooth Sony A/V Receiver With Navigation and Bluetooth, Sony XNV660BT Navigation Head Unit, Navigation Head Unit, DVD head Unit, CD Head Unit, Bluetooth Head Unit [Sony XNV660BT Nav Head Unit] - $745.95 : 3rd Strike Performance, Your Source for Late Model MOPAR Performance Parts and Accessories! Sony is one of the best known names for electronic goods in the world. This global company started out in Japan after World War II as a simple radio repair shop, but quickly made a name for the company by producing the first commercially successful transistor radio. Now Sony is a world power house making everything from car audio components to video game consuls. Sony has always been a reputable company known for quality and innovation. They continue to push the envelope with product design while maintaining high standards of quality that we have come to appreciate over the years. When it comes to electronic entertainment Sony has the industry saturated with a huge range of products for all level of consumers.